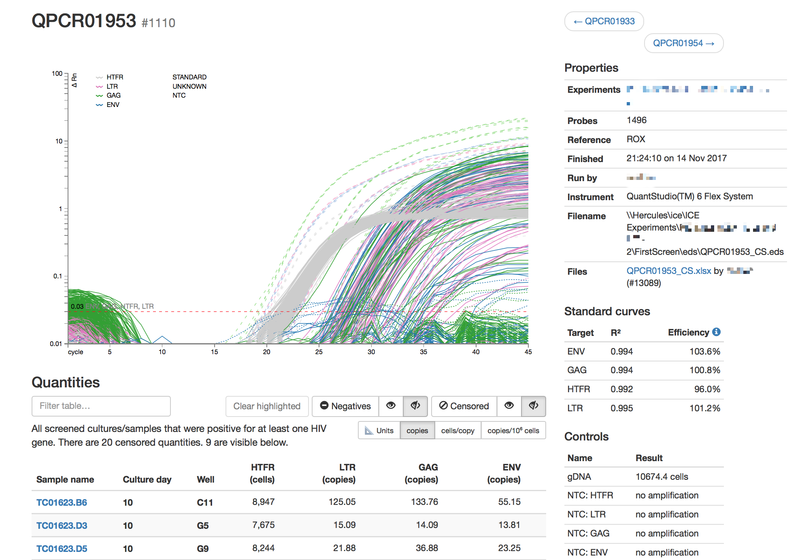 TCozy is a database application supporting large-scale tissue culture of primary cells in a microplate format and multi-locus qPCR analysis of HIV genomes. It provides start-to-finish workflow management, reduces or eliminates many possible sources of data loss, enables review of work in progress, and serves as a data repository for downstream analysis. In the Mullins Lab, TCozy tracks assay data for tens of thousands of samples and is indispensible for organizing and performing screening assays at large scale. Want to adopt TCozy in your lab? Contact the Mullins Lab to discuss the possibilities. Track the conditions, progress, and results of large-scale tissue culture experiments with a minimum of friction. TCozy makes it easy to get things right by assigning unique names to every microplate. Experimental conditions can vary by experiment, plate, or individual well. 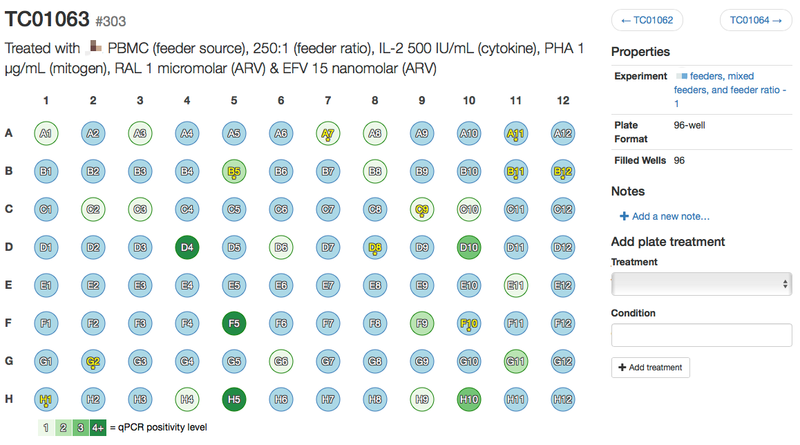 Scientists can record cell counts one well at a time, or import results in bulk. TCozy automatically generates setup files for performing multi‑locus screening of large numbers of samples on qPCR instruments. Visual setup guides help scientists pipette sample material into microplates for screening. TCozy then ingests the exported screening results, automatically linking probe data to the samples being screened. 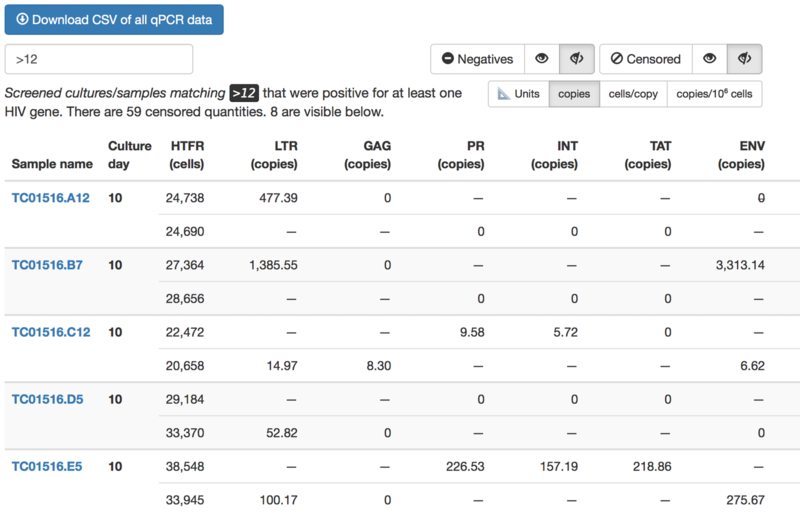 Quantitative PCR results stored in TCozy are made easily accessible through the browser. Amplification data from the instrument is displayed in a familiar graphical form. HIV target quantities can be toggled between raw copies per reaction or copies per cell (based on housekeeping human target). Quality control information, such as standard curve efficiency and negative control amplification, is highlighted for each plate. 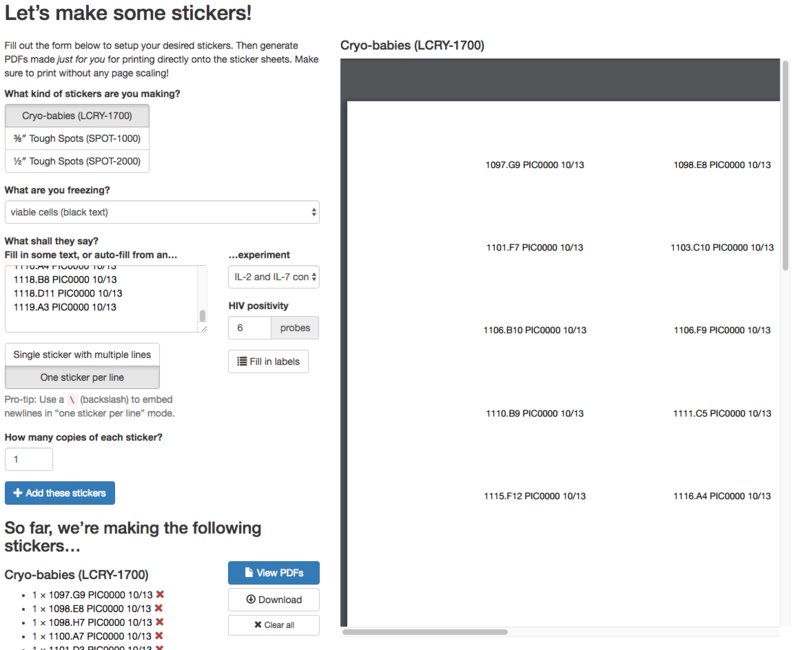 Generate files for printing cryo-safe tube labels directly from TCozy. Add free-text annotations to any data element to keep track of exceptional circumstances. Censor faulty data with one click. Retrieve original uploaded files at any time. TCozy's underlying relational database is accessible to scientists. Carefully-designed tidy analysis views make it easier to pull data directly into tools such as R and Python for visualization and statistics. Copyright © 2015–2018 Mullins Molecular Retrovirology Lab at the University of Washington.